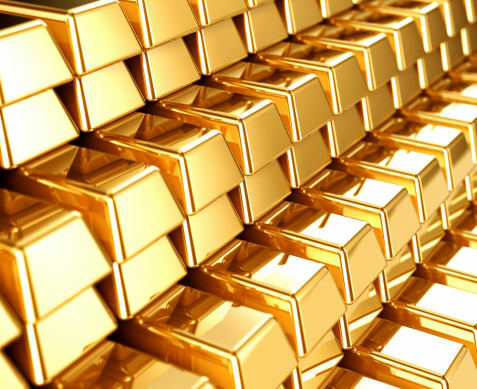 What’s next for gold? Who knows? The only certain thing is that you shouldn’t be getting advice from right wing nuts and Tea Party nuts who tried telling you the world was coming to an end. Did you see all those stupid commercials on Fox News when Glenn Beck was selling this stuff? Here’s a good article that takes a hard look at where gold might go next after crashing the past three years. If you’re thinking of investing in gold, don’t take advice from clowns who are trying to convince you to buy it. Buy? Hold? Sell? What’s the Answer? 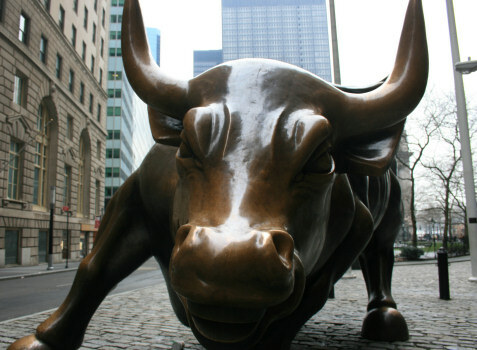 The economic recession and resulting volatile stock market has almost become cliché. Advertisers overuse the situation and analysts overthink the problems until we almost stop listening – but still, we want answers. Being able to discern between the nonsense and the facts is an ability that can be quite beneficial. It’s necessary to understand the ways that a shaky economic system can affect your investments and the actions you can do to counteract the effects. What can we do to protect our financial security and future in a market such as this? People who lose huge sums of money in a volatile market are the ones who sell as soon as stock prices start to fall. This is the exact opposite of everything we know to do, yet we still see it time and again. Yes, it’s scary when the stocks you bought at $52 per share suddenly plummet to under $20, but most of the time these stocks rebound eventually. Instead of dialing your stock broker and issuing the order to retreat, hold on to your stocks. Better yet, buy more. It’s easy to say and hard to do, but the wisest advice when it comes to investing is buy low and sell high. If you think about it, it’s the only way to actually make money in the stock market at all. Too many investors look at gains monthly or yearly. The real value of our investments isn’t short-term; it’s the value they accumulate over decades of solid investing. We know the concept of diversifying investments, but we don’t recognize the importance of diversifying our investment plans. Invest some money for short return, say five years from now. Make other investments for a return in 10 years, 15 years and 20 years. This strategy hedges investments in the same way as diversifying our portfolios with a mix of high risk and low risk stocks. Up, down, up, down…. we know how it goes. Once you’ve made sound investment decisions, ignore the buzz of the day and concentrate on the future of your investments. Historically, the market sees solid gains after a recession subsides. Even this world leading financial adviser Kenneth Fisher can’t say exactly when things will level out, but almost all economists believe the market will eventually recover. Instead of fretting over market swings due to daily news events and political situations, keep your eye on the end goal. Is it easy to turn a blind eye when it seems like the global marketplace is in turmoil? No, it isn’t. But investors who keep their cool and continue to make sound investments not only see returns financially in the long run – their investments are helping drive the market forward into a better, more sound future for us all. We’ve been hearing these stories for years. Professional athletes make millions of dollars, and then they end up broke and/or bankrupt. These are cautionary tales even for the average investor. Here’s an interesting article that details bad investments by athletes. One of the recurring themes involves investing in businesses. Investing in the business of another person is usually not the way to invest your money. Many businesses fail, and if that happens you lose all of your investment. Also, if you’ve made a lot of money, you should be more interested in preserving what you’ve earned. Don’t get greedy on risky get rich ideas – you’re already rich! Few people think about what they can lose when they make these kinds of investments. Read the article and you’ll get an idea of what types of investments you should avoid.